For the uninitiated, the way that the Swag Hat works is that Blackout performers hit the lobby prior to the show and solicit audience members to offer suggestions for topics they might talk about and then improv springing from that conversation. Give ‘em the hard stuff - police brutality, voter suppression, white privilege, institutional racism, criminal justice reform, war on drugs, school to prison pipeline, the name of any one of far too many people of color killed by law enforcement (and let’s face it, we’ve had our stories to add to that list of sorrows in the Twin Cities area). We got some softballs drawn from the hat - Chuck E. Cheese, Maxine Waters - but we also got some trickier territory - Confederate flags, homosexuality, and representation in entertainment. All the discussions were nuanced and complicated, and led to extremely funny and odd flights of improv comedy immediately after. This edition had Busta Rhymes on Sesame Street, a battle with cheese for a man’s soul, the inability of a cartoonists to draw anyone who wasn’t white, and much much more. 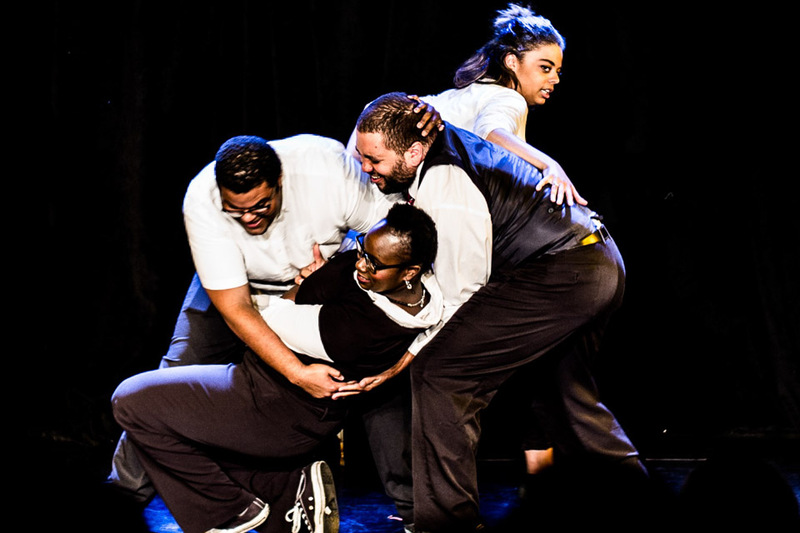 Even more than with most live theater, every show with improv comedy is very, very different. Mom’s only going to get to see Blackout Improv once, but I’m definitely hoping for a return trip before Fringe is over to get some more (their other Fringe performances are Saturday 8/5 at 7pm, Monday 8/7 at 8:30pm, Wednesday 8/9 at 5:30pm, and Thursday 8/10 at 8:30pm). They can pack the place, they have a following and the Phoenix is their home, so be sure to either get there early or make a reservation so you don't get locked out.